Academic Futures, Inc. is located in Johns Creek, GA and offers comprehensive college and career counseling for high school students. The process involves an individualized approach to determine each student’s unique interests, strengths, passions, and vision for the future. Academic Futures provides a methodical approach to the somewhat overwhelming college admissions process. This includes individualized timelines and action plans allowing students to evaluate and prepare each part of the college application process in an organized manner so they are able to present their strongest profile. Academic Futures, Inc. was founded by President, Leigh Anne Spraetz, who has been assisting students with the college and career process for 18 years. Kate Henderson joined in June 2012 after a career in college admissions. Kate’s time on the college admissions side was spent assisting students and families with each part of the enrollment process including admission, scholarships, and financial aid. Kate spends time on the road each year touring between 40-60 colleges in order to help guide students to consider colleges that are a good fit. Kate remains active in a variety of local, regional, and national professional organizations and currently serves on several committees. Partner Profile: Leigh Ann Spraetz of Academic Futures, Inc.
As a lifelong proponent of learning and finding one’s own journey, I have worked with teens and young adults for over 16 years. My process involves an individualized approach, as I believe every student is unique in his or her interests, strengths, passions and vision for the future. Kate Henderson, a former recruiter for a large university, has joined my practice. 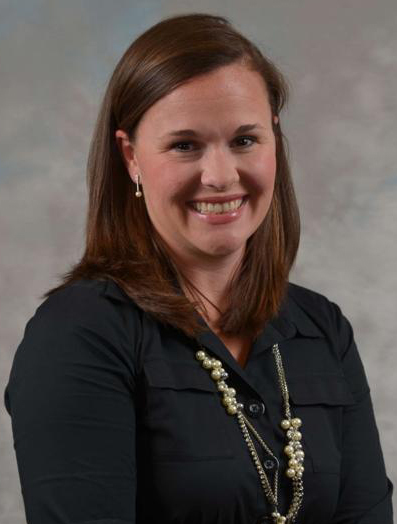 She brings knowledge and expertise from an admissions perspective as we guide our students. Our college and career services are based on the student – his or her input, assessments, goals and needs. We provide a methodical, individualized approach to the admissions process, along with a timeline and updated action plan at each session, so the student is in control and well-prepared along each step. This allows for the process to be a learning experience, rather than a race to the finish line. Students have time to evaluate and prepare each piece of the application in an organized manner so they can present their strongest profile. I have found over the years that even my most accomplished students often do not have or take the time to assess their strengths, who they want to become or to make a plan to get there. This is the most exciting part of our job, to help students take the time to do this. We work with one student at a time, focusing on them holistically as we prepare a college list and numerous action plans. Our process allows students to cast a vision for their future, and provides positive encouragement while breaking down the process into small steps so each piece can be done well. We encourage students to develop a resume that reflects who they are, versus trying to add exhausting activities to keep up with what are perceived requirements for acceptance. Please read our video and written testimonials on our website to learn more about how our process has benefited students and parents. www.academicfutures.com We offer 30-minute free consults for students and parents to get questions answered. Please call our front office to schedule at 678-893-5300. Can what I post on Facebook actually hurt my chances of getting accepted? I was recently asked to contribute to a blog for a college website designed to answer hot topic questions for college applicants. The question for that posting was: Can what I post on facebook actually hurt my chances of getting accepted? My reply was yes, what is posted on Facebook can potentially hurt chances of acceptances. I warn students of this every year. Most colleges, especially the large ones, do not have the time or interest for policing facebook postings. However, they potentially could, so why take the risks? We hear in the news where politicians are caught and face consequences due to an unwise posting, as are unfaithful spouses, employees… The chances may be low, but as we all know, what is put in writing can come back to haunt us. The same goes for Twitter or any other social media network. Facebook postings can also hinder students in keeping acceptances. As travel budgets and resources are cut in college admissions offices, many are enhancing their social media focus to connect with students. Therefore, as you “friend” a college, they can potentially see what you and your friends post. Admissions officers may also google to find out more information about you before they interview you, or to verify something that really stands out in your application. This could lead them straight to your facebook page. Recently, I heard two Admissions Deans discuss how posts cost students; one an acceptance and one a scholarship. One posted about an underage, illegal activity he planned on providing his freshman year; his acceptance was rescinded. The other trashed the college, disappointed that she wasn’t accepted to her first-choice school. She was being considered for a substantial scholarship, which was awarded to another student because of her post. Beyond admissions, postings could potentially hurt your chances of acceptance into groups you may want to join, such as student government, fraternities or sororities, and perhaps more detrimental, a future employer. Colleges may be called for roommate changes, based on what is seen on facebook. Do you really want to start your college experience with this baggage, after you have worked so hard for so long for an acceptance? Colleges and employers want to see students who have integrity, ethics, moral standards and sound reasoning. Consider this when making public any information about yourself. It’s not about where you get in, but where you FIT in! The phrase “college fit” has been bouncing around for a while and in the craziness of application season, it sometimes is forgotten. Many students and families get wrapped up in the frenzy of rankings, myths, school names, where their best friend is going, etc… and often miss the importance of searching for a college that “fits” the student. Many important factors go into finding a college that fits. Spending most of my career in the college admissions side, I often spoke to students whom I knew would not be a good “fit” for my institution. Of course, you want every student that you come in contact with to fall in love with your school. You try hard to make what they are interested in a reality for your institution. This cannot only hurt your institution, but the student. Colleges are not only concerned with application numbers and meeting their enrollment goals, but also with the retention of first-year students. They strive to not only enroll a student, but also to have that student graduate in a suitable amount of time. With more than 3,800 colleges in the U.S., this task can seem overwhelming. Students need to start this process by exploring who they are, who they want to become, and what they want out of their college experience. Once this is determined, they can focus on exploring colleges that meet these goals. What fits for one student may not fit for another student. There are many opportunities for students to learn more about their personality, career interests, and college majors to help in the process for finding their fit. Leigh Anne Spraetz and I offer these assessments through our testing and counseling process at Academic Futures, Inc. at The Summit Counseling Center. One of the most important factors in deciding on which college fits the student is the campus tour. Hearing from college recruiters and reading information online is one thing, but actually putting yourself in the campus environment can be entirely different! The visit allows you to “try on” that college for the day. Can you see yourself here for the next four years? Is it a comfortable distance from home? Is it a financial fit for you? Do the current students seem to be people you want to surround yourself with for the next four years? Does it offer the academic environment and extracurricular activities you are looking for? You can hear from alumni and current students about how great their experiences have been and how much they love their institution, but the choice is yours. Make sure to visit more than once and see the campus in its different seasons. Does it fit you and what you want out of your college experience? In the end, if you take the time to explore these factors, you will know which college fits you! This famous quote rings true to many of us throughout our lives. After joining a student organization in college, this quote was emphasized at the beginning of every meeting for us to understand the importance of time. It stuck with me, and I have continued to follow and use it with myself and others. For high school seniors, this quote applies perfectly for submission of college applications. A majority of applications open before high school seniors have been given the locker combinations for their senior year. August 1 tends to be a popular time for colleges to release their updated application for that year’s graduating class. With the release of the application also come deadlines. Whether students are applying Early Action, Early Decision, or Regular Decision, there is a date set by the college for the application and supporting documents to be received. In our line of business, early is on time! At Academic Futures, we work with high school seniors to establish an application timeline for all applications to make sure they are received well ahead of their intended deadline. You never know what curve ball life can throw you and waiting until the last minute can mean you are too late! You cannot plan for sicknesses, for family events, or for when your Literature teacher will assign the next research paper. You also cannot plan for the college’s application website to go down due to too many users, reported system errors, or failure to accept your form of payment. Applying on the deadline, which is technically on time, can sometimes mean you’re too late. If a college experiences glitches in their system they can be lenient to allow extra time to submit an application‒as we have seen this year with several colleges extending their Early Action and Early Decision deadlines due to Common Application issues. However, the stress of missing this deadline can be too much to handle for students, parents, and counselors! Having spent time on the opposite side of the desk, I know that a student missing a deadline for admission or scholarship processes do not hold up strong during committee review. The deadlines are posted on the college’s website, printed in materials, and voiced to the students during college fairs and private visits. The last thing an admissions rep wants to hear is “I did not know yesterday was your deadline.” Really?!?! Late is unacceptable. So, for any high school seniors out there waiting until December 1 to submit their scholarship applications or until January 10 to apply Regular Decision, remember that on time could mean you are late and being late can mean your application is unacceptable. Check your colleges’ websites for all deadlines and set your own deadline a couple of weeks prior to this date. This can ensure that your application is in early and that it is ON TIME! A rigorous high school curriculum that challenges the student and may include AP or IB classes. Grades that represent strong effort and an upward trend. However, slightly lower grades in a rigorous program are preferred to all As in less challenging coursework. Solid scores on standardized tests (SAT, ACT). These should be consistent with high school performance. Passionate involvement in a few activities, demonstrating leadership and initiative. Depth, not breadth, of experience is most important. Letters of recommendation from teachers and guidance counselor that give evidence of integrity, special skills, positive character traits, and an interest in learning. A well-written essay that provides insight into the student’s unique personality, values, and goals. The application essay should be thoughtful and highly personal. It should demonstrate careful and well-constructed writing. Special talents or experiences that will contribute to an interesting and well-rounded student body. Demonstrated leadership in activities. Colleges want people who will arrive prepared and willing to take leadership of student activities and events. Demonstrated intellectual curiosity through reading, school, leisure pursuits, and more. Demonstrated enthusiasm to attend, often exhibited by campus visits and an interview, showing an interest toward attending the college.